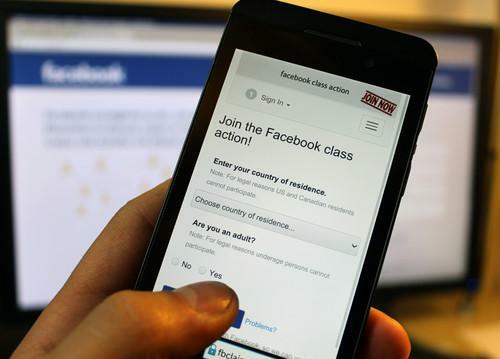 The decision is a blow to Europe-v-Facebook, the privacy campaign group whose front-man, Max Schrems, filed the suit, and to the 25,000 Facebook users who had assigned their claims against the company to the case. Schrems, an Austrian national, filed suit against Facebook in the Vienna Commercial Court, which referred the case to the Vienna Regional Court. Austrian legislation doesn't provide for U.S.-style class-action lawsuits, but Schrems invited other Facebook users outside the U.S. and Canada to join his lawsuit. Some25,000 joined him, claiming damages of €500 (US$560) each, and another 60,000 registered to join the case at a later stage. The Vienna Regional Court dismissed the case on the grounds it had no jurisdiction. Despite the geopolitical complexity of the case -- an Austrian suing the Irish subsidiary of a U.S. company with supporters of many nationalities -- the court's lack of jurisdiction had nothing to do with national borders. Instead, it said, it couldn't accept the case because Schrems is not a consumer. Schrems used at least one of his Facebook accounts for professional reasons before he filed the suit, so he cannot rely on consumer law and the court won't accept the claim, a court spokeswoman said Wednesday. The court ruled that the case should be brought before another court in another country, and not in Austria, she said, adding that the Vienna court did not say where the suit should be filed. Europe-v-Facebook issued a statement calling attention to what it saw as an inconsistency in the ruling, saying that in addition to finding that Schrems was not a consumer, it also found that his personal Facebook account was only for private use. Schrems plans to appeal the decision in the Vienna Higher Regional Court. This is not the only case against Facebook in which jurisdiction and the place where personal data is stored plays a crucial role. In Germany for instance, the Higher Court of Berlin ruled in February last year that Facebook must comply with German data protection law. Another court though ruled in 2013 that Irish data protection rules and not German data protection law should apply to Facebook. Facebook wants to settle all such litigation in Ireland: "This litigation was unnecessary and we're pleased that the court has roundly rejected these claims. We remain happy to work with our regulator, the Irish Data Protection Commissioner, to address any questions about our commitment to protecting people's information," a company spokesman said via email.